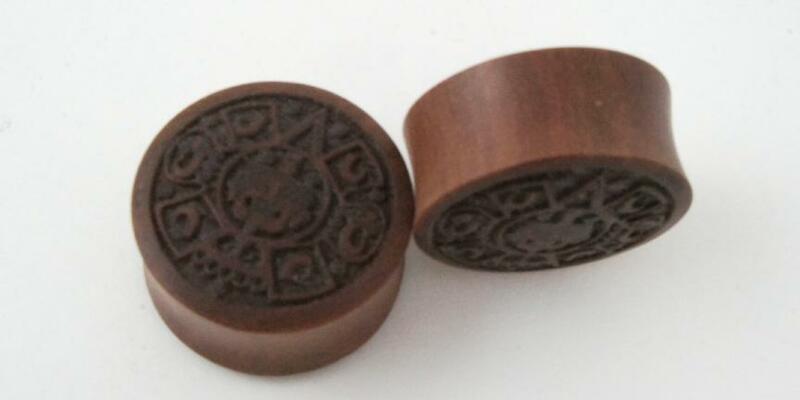 Pair of gauged earring plugs with Mayan sundial relief carved from Sawo Wood. Centered in the hand carved relief is a Mayan tribal face. 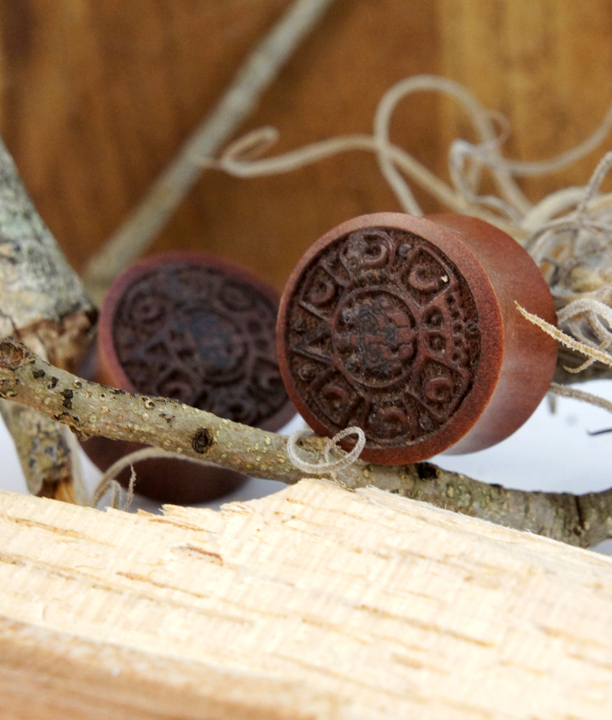 The ear gauges are saddle plugs and will flare out slight on the edges. Subtle piece, but beautifully carved and sure to be a conversation starter. For sizing we typically have a wide range in stock but if you don?t see your ear gauge size listed please let us know. We regularly release new sizes and styles so if it?s not currently available now there?s a good chance it will be later.